Brooklyn Hustle has pleased connections ahead of her return in the Blue Diamond Prelude. Brooklyn Hustle has recently lost Blue Diamond favouritism but the filly has shown she is on track for the $1.5 million Group One race with a pleasing jump-out at Mornington. 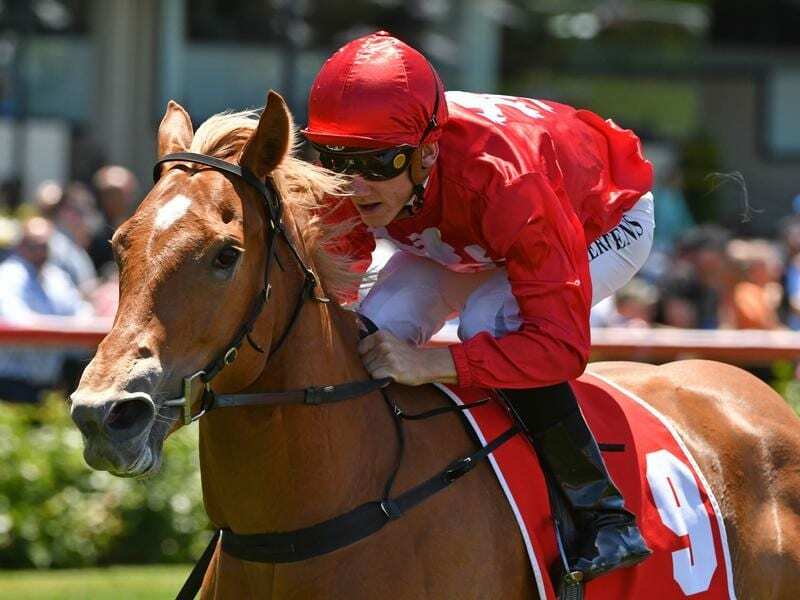 The Jason Warren-trained two-year-old made a big impression with a convincing win at The Valley on debut on December 1 before being given a short break ahead of a campaign aimed at the Blue Diamond Stakes on February 23. Brooklyn Hustle was the $4.50 favourite for the Blue Diamond ahead of the Preview races at Caulfield last Saturday which were won by Catch Me (fillies) and I Am Immortal (colts and geldings). Unbeaten in two starts, Catch Me ($4) has displaced Brooklyn Hustle ($5) as the TAB’s Blue Diamond favourite. The two are set to clash in the Blue Diamond Prelude (1100m) for fillies on Saturday week and Brooklyn Hustle ramped up preparations for her return with a 750m jump-out at Mornington on Thursday which she won comfortably. Brooklyn Hustle is raced by Rosemont Stud and Rosemont’s Anthony Mithen was among those on hand to watch Thursday’s hit-out. “She won the jump-out pretty comfortably and she did what we wanted her to do,” Mithen said. “She had a good blow afterwards, indicating she’s still got some fitness to come. “As Jason has said right the way along, she will be rock-hard and ready on Blue Diamond day not any time before that. Ben Melham rode Brooklyn Hustle in the jump-out and is expected to ride her in the Prelude. Mithen said Brooklyn Hustle appeared to have grown which was another encouraging sign for the future. “She has already shown to be a two-year-old of high quality but I reckon she will develop into a lovely three-year-old,” he said.